You hold in your hands a landmark guide to understanding the ideas and forces shaping our times. 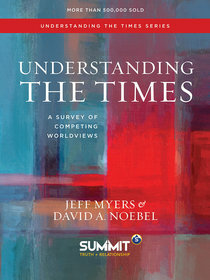 Understanding the Times offers a fascinating, comprehensive look at the how the tenets of the Christian worldview compares with the five major competing worldviews of our day: Islam, Secular Humanism, Marxism, New Age, and Postmodernism. Understanding the Times is a systematic way to understand the ideas that rule our world. While the material is expansive, the engaging, easy-to-understand writing style invites you to discover the truths of God - and our world. This classic should be on the shelf of every Christian home, on the desk of every pastor, and in the hands of every Christian student headed off to college.